I hate to repeat myself (Viv reminds me that I do), but many of our eating destinations during our NYC visit were based on circumstance rather than being "the" place to go. 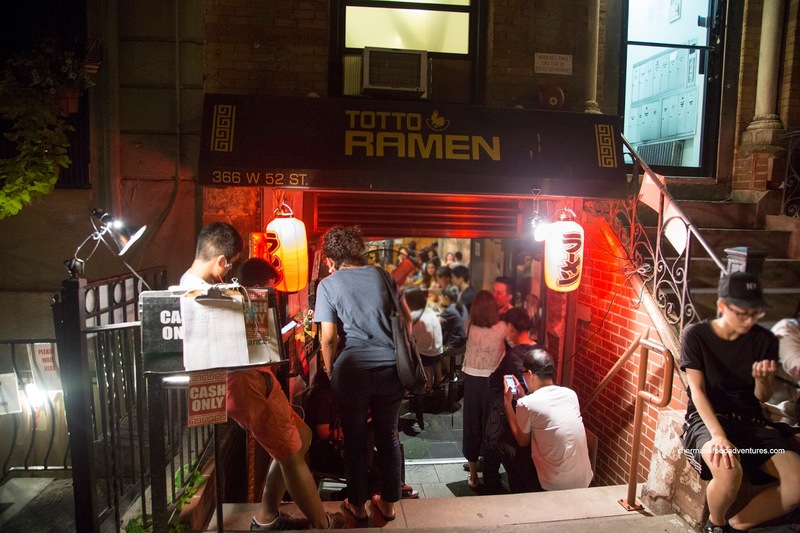 This time, we selected the West 52nd location of Totto Ramen because Costanza and Elaine wanted to check out Times Square at night. This way, we could get a quick dinner and then walk down Broadway. Luckily for us, we beat the rush and was able to be seated as a group of 8 (impressive) in the little ramen joint. Also luckily for us, the kids didn't take up much room and ramen happens to be their preferred choice of food. For my son, I got him the Chicken Paitan with original straight noodles in their house made chicken soup. This came with both pork belly char siu and pulled char siu. We added an egg as well. The soup was rich, silky and creamy with purposeful saltiness. 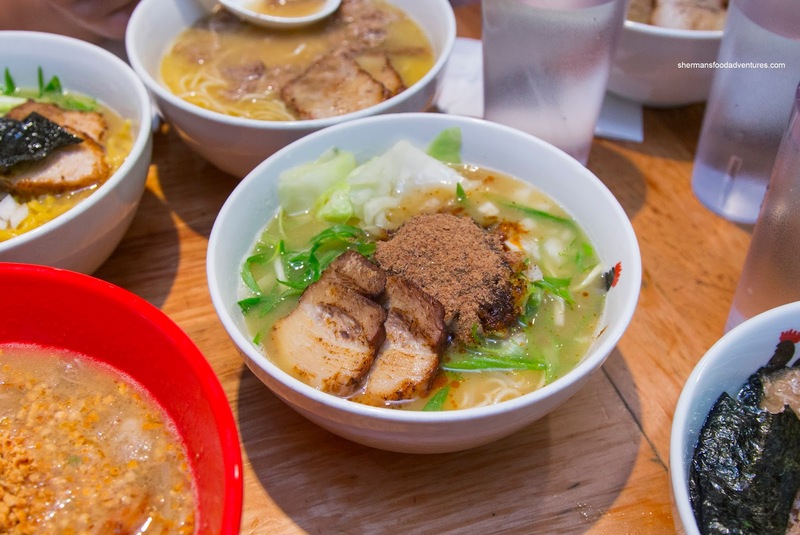 The noodles were firm and chewy (holding up to the end) while the fatty pork belly melted-in-our-mouths. The egg was nicely marinated as well as being runny in the center. 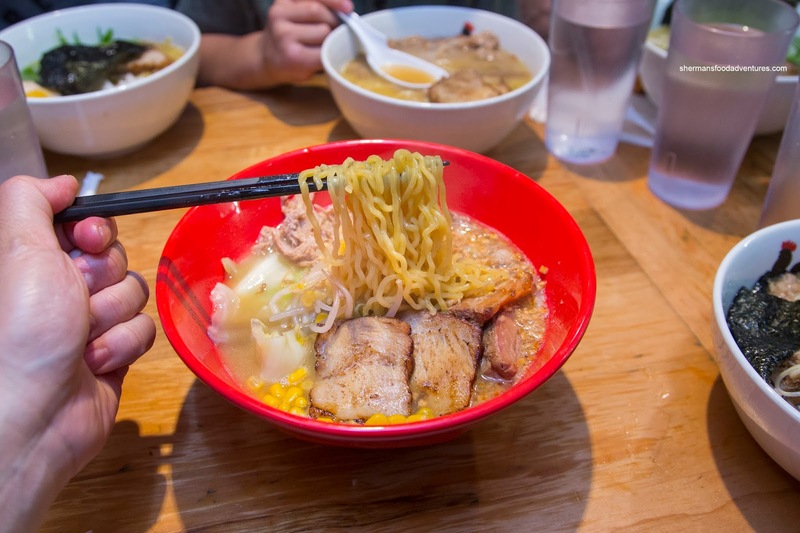 Suffice to say, my Mega Paitan was very similar since it featured the same broth. However, I preferred my wavy noodles due to the elasticity and rebound. There were the same types of meats except with the addition of pork chunks which were lean and tender. 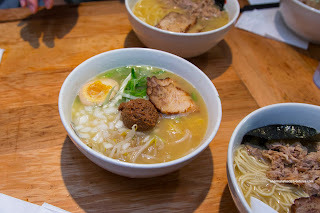 For my daughter, she had the Miso Paitan that sported Koji miso and ground pork, char siu and half an egg. 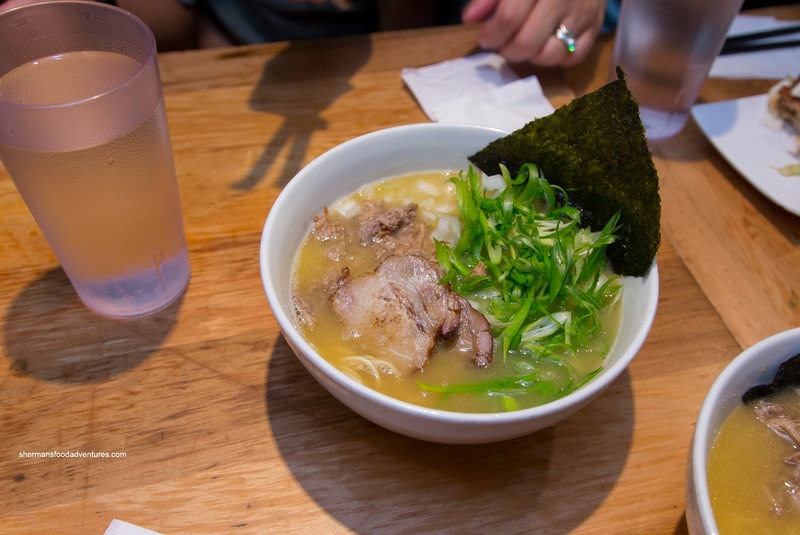 When mixed in the broth, the miso was rich and deeply salty without being super salty. There was an appealing fermented taste while the pork added body to an already creamy broth. This was a flavor party in my mouth. Viv ended up with the Spicy Nibo Paitan with spicy fish flavored sesame oil and char siu. We liked how the broth had a kick, but wasn't overwhelming. The light fishiness added another layer of flavour that was more in the background. 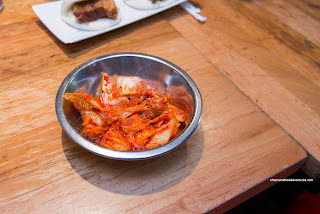 As a side, we got the Kimchi which was a bit wet and not overly spicy. There was a slight tang to go with the saltiness. This was pretty average. With that being said, we still ate it all. 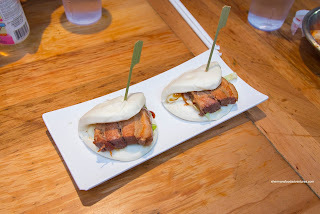 On the other hand, the Char Siu Buns were on point with buttery melty pork belly with a tasty mayo. Sure, the presentation wasn't exactly appetizing due to lack of colour, but it was indeed a winner. In fact, the ramen in general was pretty good as well. I wouldn't say it blew our minds, yet, it was a nice departure from the other things we were eating so far on the trip. The only thing we didn't like was that the place was super small (like most ramen joints) and a bit warm.